PHOENIX – Accusplit, the leader in the professional stopwatch and timing industry since 1972, will recognize the nation’s best collegiate relay teams and their coaches at the 2017 USTFCCCA Convention at the JW Marriott Phoenix Desert Ridge Resort & Spa. The ceremonies will take place during each divisional track & field general sessions. 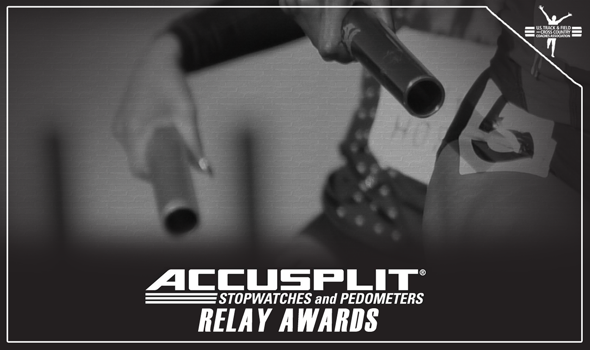 Accusplit Relay Awards are given to those relay teams that ran the fastest times in their respective outdoor relay events. Five collegiate relay records were set during the 2017 outdoor track & field season: the women’s 4×100, the women’s 4×200, the women’s 4×400 and the men’s and women’s sprint medley. 4×400 Saint Augustine’s 3:06.73 Shawn Rowe, Shaquille Dill, Adrian Kimmons, Khari Herbert Jr.